At the American Red Cross, BLS training in Massachusetts is designed for those who are currently employed or who are seeking employment as a first responder or healthcare professional. In addition, classes are available for teams and organizations, such as fire crews and police departments. Explore the Massachusetts BLS classes in your area, or inquire about customized training for your department, and stay up to date on the latest techniques and protocols. The Red Cross delivers BLS training in Massachusetts that meets all the requirements for certification. Available in a traditional classroom setting or via our blended Simulation Learning, which combines online coursework with in-person skills sessions, all of our BLS classes are built around standard scientific learning objectives and the latest medical information and techniques. Explore the classes available near you and earn your Massachusetts BLS certification. Our best-in-class Simulation Learning experience is designed for those who need the freedom to learn at their own pace. Delivered via a combination of self-paced, interactive classes, and culminating with in-person skills sessions, these Massachusetts BLS classes give you the opportunity to train on your schedule, and demonstrate your skills to a certified instructor. 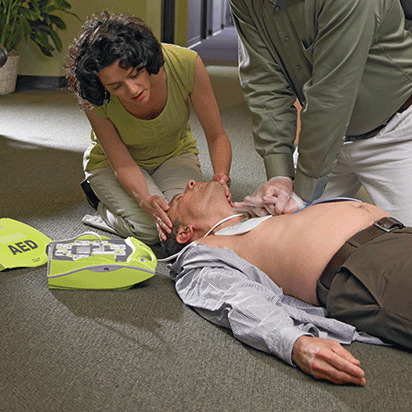 The American Red Cross offers Massachusetts BLS classes designed specifically for those seeking recertification. These abbreviated courses can help you understand the latest science behind BLS care, and learn new protocols and best practices. Recertification and renewal courses are available at a wide range of convenient times and locations, and are open to anyone whose credentials are within 30 days of expiring. At the Red Cross we know that if you don't use your BLS skills regularly, they're easy to forget. That's why after your BLS training in Massachusetts, we'll give you access to a wide range of refresher materials. Designed to keep your skills sharp and your memory fresh, our refresher materials include quizzes, games and videos, and they're all free. Our Massachusetts BLS certification courses allow healthcare and public safety professionals to provide life-saving care to those in need. Our curriculum includes all of the standard scientific learning objectives necessary in professional resuscitation courses, but also encourages you to develop critical thinking and teamwork skills, and work on reflection and debriefing. All of our BLS courses for healthcare providers are modular and flexible, and can be tailored to suit your department's protocols. All of our Massachusetts, BLS training classes are developed under the guidance of, and reviewed by, The Red Cross Scientific Advisory Council. This 50+ member panel is comprised of nationally-recognized medical, scientific, and academic experts who are dedicated to ensuring that all of our courses include the best science, and the best practices available.